Long-haul holidays are very much in vogue, but beware thinking of African holidays simply as safaris. There is so much else on offer on the continent, and it is definitely worth thinking a little more ‘alternative’ if you want the holiday of a lifetime. How about a gorilla trekking holiday in Uganda as a perfect example? This is real ‘bucket list’ stuff for many, but it is also worth exploring the rest of the country, and its capital. 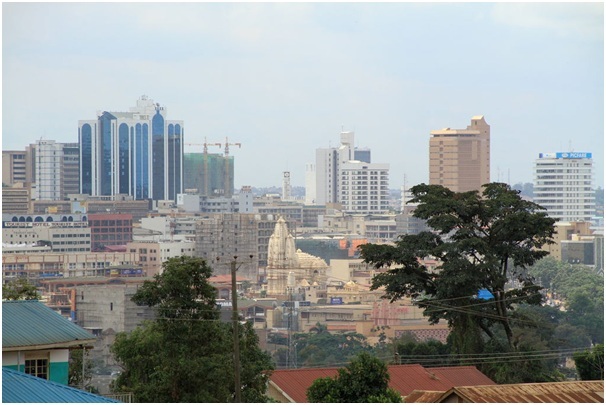 Kampala is a thriving, exciting city with a lot going on, and that can mean a lot of traffic and consequently slow progress around the streets. There is a solution though: the boda boda. This motorcycle taxi has been around for over fifty years, taking its name from the slang term ‘border border’ as it was a cheap way of crossing the Kenya-Uganda border. They’re still a great way to get around, nipping through the traffic. Some businesses have taken things a step further by organising city tours. Of course, if your party is quite large you’ll need more than one, but they’re perfect if you are travelling alone. There are some spectacular sights to behold in Kampala, not least the bustling Owino market, which is the largest market of second-hand clothing and shoes anywhere in Africa. Kampala is also home to Africa’s second-largest mosque, built by former Libyan leader Gadaffi, with whom it shares its name. If you’re able, one of the best views of the city and Lake Victoria to the south is visible from the top. Some boda bodas now venture out of the capital and will take tourists on tours of the national parks. For more information on visiting Kampala and the wider country of Uganda, contact a specialist tour operator such as Steppes Travel steppestravel.co.uk and explain exactly what sort of thing you are hoping to get from your holiday. For up to date travel advice on visiting Uganda, look on the Government website, and Fit For Travel will offer up to date advice on recommended immunisations for travelling to Uganda. Whatever time of year you choose to go, there will be plenty to see and do. Just tailor your visit to tie in with the best times for what you want to do most.